Ihlas is one of the biggest media conglomerates of Turkey having three private TV channels, a radio channel, a daily newspaper, a news agency, 30 magazines, hundreds of books and encyclopedias, calendars, an internet service providing company, net communications, various news portals, a fair & exhibition company, hospitals, schools and industrial establishments. Airport and the frequency will be annually. 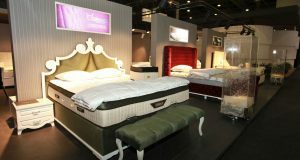 As the first of its kind in Turkey, Sleep Well Expo will contribute to Turkey’s being a production hub for the mattress industry. 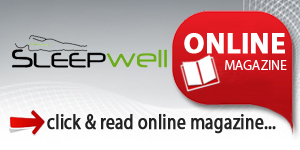 Sleep Well Expo will host a platform where the latest technologies and products will be showcased altogether. 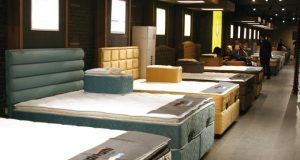 Ever increasing value of mattress and other sleep products fair will be an important organization which will bring leading companies and reps of the industry together. Many international companies doing business with Turkey in this industry have already shown interest in the fair which will bring together CEOs, top level officials, purchasing managers, producers, consumers, foreign and domestic dealers and representatives. 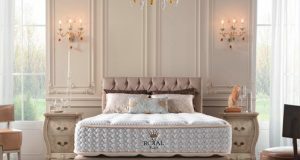 Product groups of the fair include Turkish mattress producers, mattress importers, furniture and mattress stores, foreign mattress producers, sub-industry products, mattress and quilting machinery and equipment, etc. The visitor portfolio includes experts and high-level officials of the private sector, buyers from different sectors to realize projects, businessmen, investors, mattress industry authorities, dealers and representatives, chambers of commerce, associations, furniture manufacturers, purchasing officials of tourism, hotel and hospitality industry, etc. Most powerful media sponsors The main media partners of the fair are Sleep Well and Sleep Tech magazines. Other media partners and sister publications include TGRT Haber TV, Ihlas New Agency, Turkiye Daily Newspaper, TGRT FM Radio, and sector magazines such as Home Textile Exports, Décor, Curtain & Curtain Accessories, Contract Textile International, etc. There will be seminars and different activities related to new products, technologies and applications. Istanbul unites its natural beauties with its historical and cultural wealth and modern infrastructure, ascending in world league as the new favorite city for international organizations. Istanbul has an historical and cultural heritage acknowledged by the whole world. Apart from its historical and natural beauties the city is quite assertive with its hotels, fair, congress and meeting halls at world standards. The visitors coming for meetings, congresses and fairs have the opportunity to experience the eastern and the western cultures together amongst the artworks reflecting a history of thousands of years.